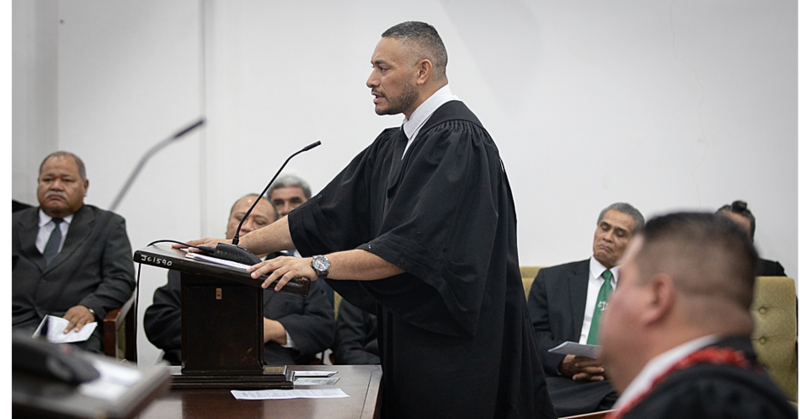 Those words by Colin Powell aptly describe the journey of 34-year-old Angus Malietoa from humble beginnings to where he is today. Based in Auckland New Zealand, Mr. Malietoa has climbed the ladder to become the first Samoan to head Kyocera New Zealand as its General Manager. In Apia this week to conduct training with Samoa Stationery and Books, Mr. Malietoa looks back a grateful man. “I come from very humble beginnings,” he said. “I know what it’s like to not have much, and I know what it’s like to not have food in the cupboard. “You know back in the days, we were so poor in New Zealand that we couldn’t afford Fish and Chips and the cost of Fish and Chips back in the days in New Zealand was a dollar for a scoop. “[And] we couldn’t afford it, so what me and my brother did we get a loaf of bread we take off the crust and we vaevae the crust and that was our chips and the bread was our fish. 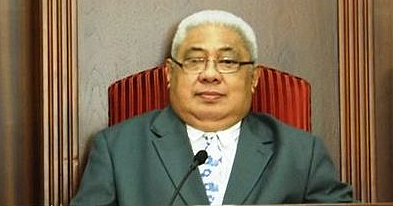 From early days, Mr. Malietoa said he was always interested in Sales and Marketing. And after years of hard work, he feels privileged to have landed such a position. 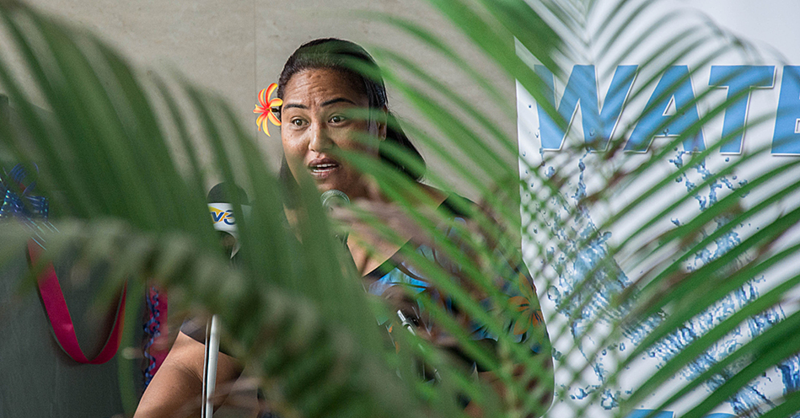 “I feel proud absolutely proud because there are very few Samoans in the I.T Industry let alone managing or senior manager in the I.T. Industry so it’s not just a title but it’s a responsibility in trying to pioneer the way for young Pacific leaders. So how did his journey begin? “I worked in Fuji Xerox through a friend of mine and that’s effectively how it came about when a friend of mine introduced me into Fuji Xerox and I was diligent and I worked from the bottom,” he said. “I was faithful to my bosses, I worked hard in my positions and I got promoted four times in Fuji Xerox. So it took a lot of hard work to get to where I am today. Mr. Malietoa also has a message for the young people of Samoa. “We need to measure ourselves against the world, we need to measure ourselves on what’s happening globally not just the global market but where the global market has moved to and today’s market globally speaking technology is everything,” he said. “Technology is not the future but it is the now, so my advice to young Samoans especially is yes it’s hard but if it was easy everyone would do it. “So it takes a group of people to pioneer and actually start from the bottom and work your way through it. “It is such a big part of business these days, we’ve got mobile devices, scanning software, we got medical health that are looking for new ways to prove people’s health and services so people can get faster treatment, education we are looking at ways to view documents on mobile devices. “So technology is and will be a big part of life so my advice to young people is to start anywhere in IT and if people are hungry they will get it. “It has no gender, like I have met so many companies that are run by females, so that has a lot to say to our cultural as well that if a woman can setup a business and run it on her own then all the other women out there got no excuses. 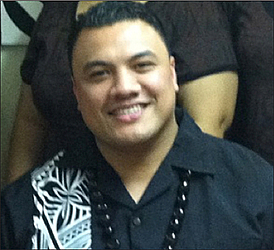 Born and raised in New Zealand, Mr. Malietoa is married with three children. His mother hails from Falelatai and Sapapali’i and his father is from Alamagoto Apia.